Have you been to Atkins Park? 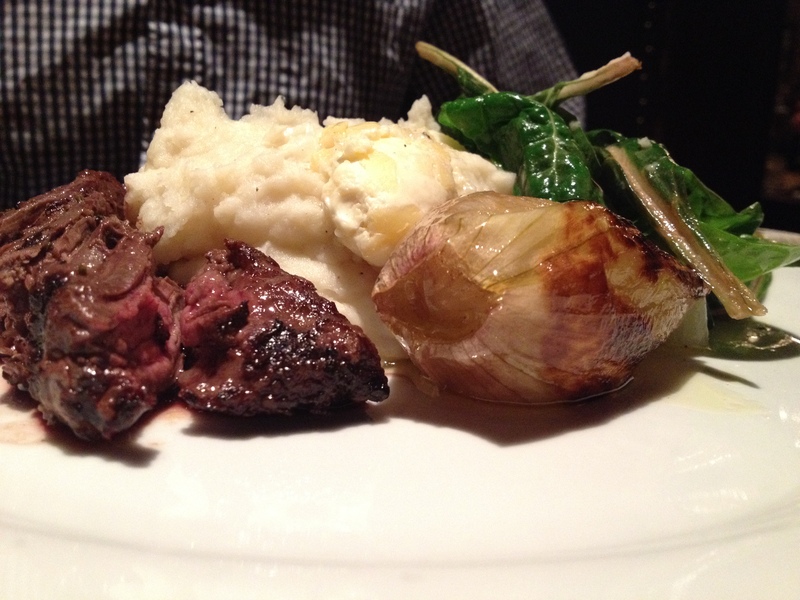 Because of law school I had only seen the crowded bar portion of the restaurant — when I think of crowded, rowdy, bar, I do not associate it with a great restaurant attached to the other side — and this is EXACTLY what Atkins Park is! A friend of mine LOVES Atkins Park. After being a tad skeptical, I decided I would check it out. Thank GOD I went! I LOVED the menu and the food. The service was great and the food was well prepared. 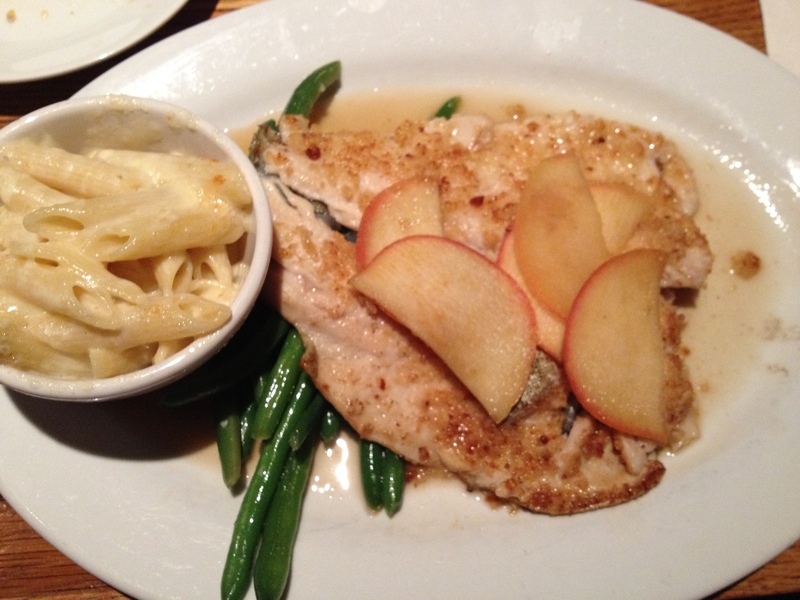 I loved my dish. 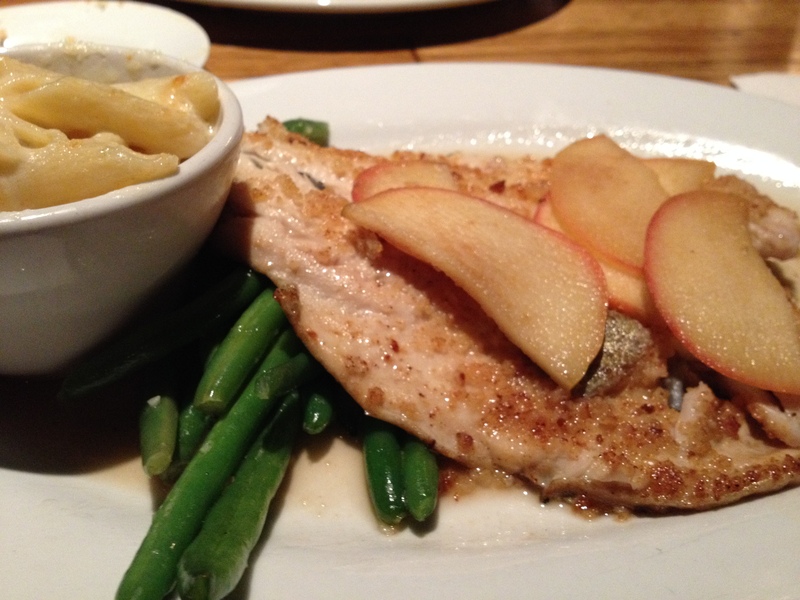 I’m not one to want sweet things, but the pairings of the apple with the North Georgia trout was beautiful and the taste was delicate and not over powering. They ran out of the pot roast the night I went, so my friend ordered the special for the night (I think: brisket with Vidalia onion and local greens. 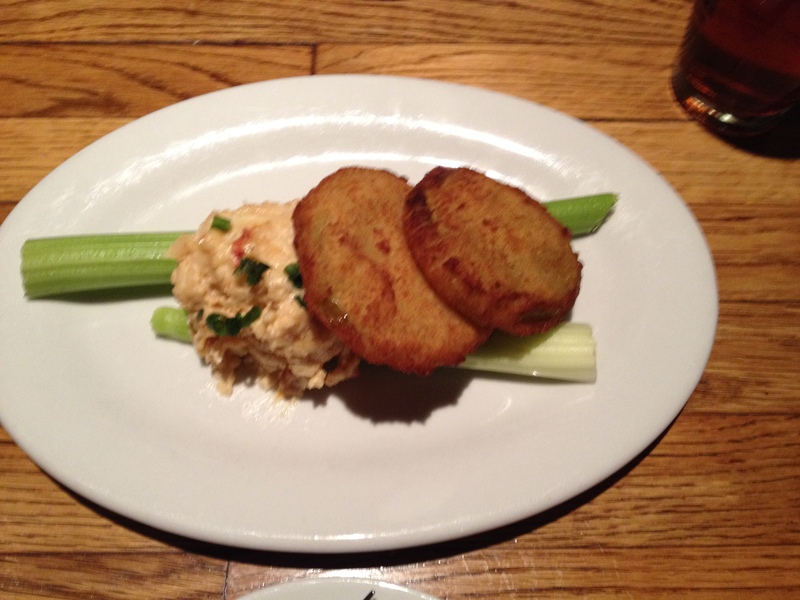 We also ordered an awesome pimento cheese appetizer with fried green tomatoes: which I LOVE!!!!!!! Thankfully, celery is healthy and has only 6 calories per stalk…. 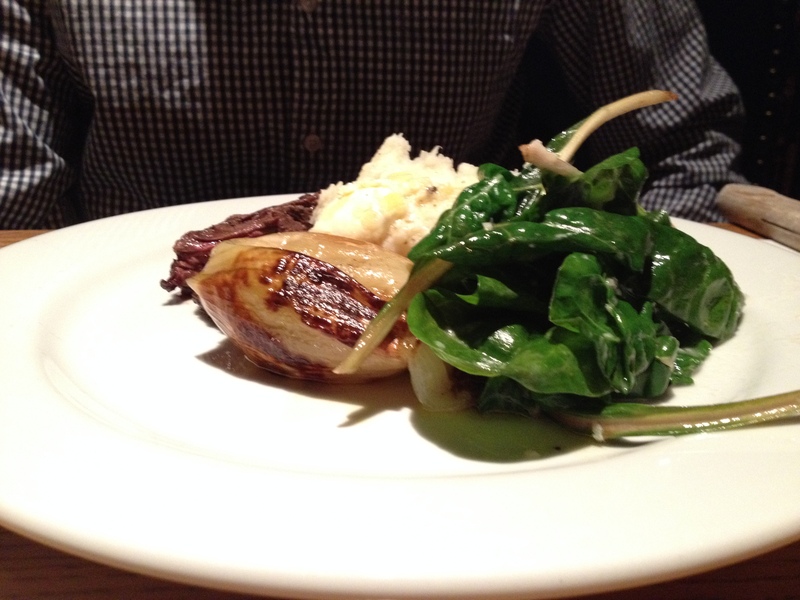 I have a quick fact to insert about Vidalia Onions (great dinner conversation piece): did you know that in order to be a “Vidalia Onion” it needs to be grown by or from Vidalia, Georgia. These onions are trademarked by the United States Patent and Trademark office, so you can’t legally grow a Vidalia onion, or sell it without it actually being from the following thirteen Georgia counties: Emanuel, Candler, Treutlen, Bulloch, Wheeler, Montgomery, Evans, Tattnall, Toombs, Telfair, Jeff Davis, Appling, and Bacon; or portions of the following seven counties: Jenkins, Screven, Laurens, Dodge, Pierce, Wayne, and Long. I definitely stole a few bites of that sweet Vidalia onion and mashed potatoes. Loved this! Burbon soaked applies with a North Georgia Trout! 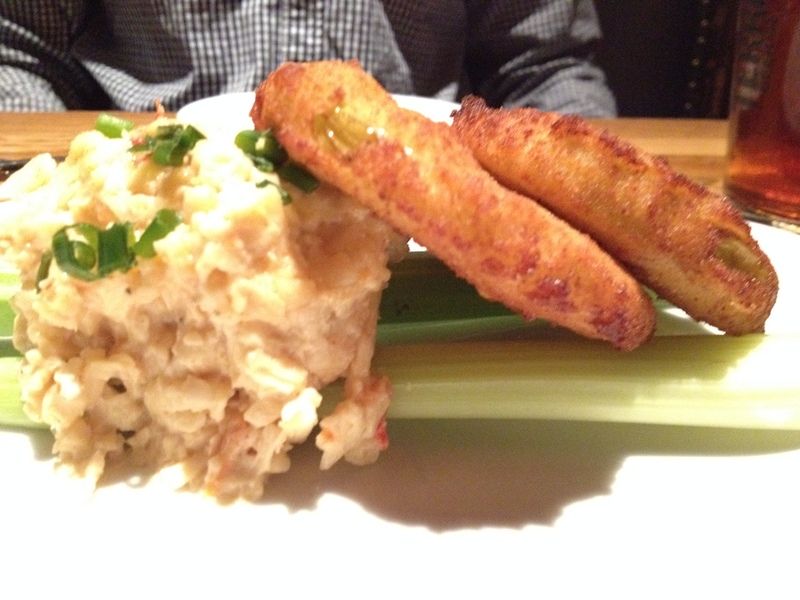 Who doesn’t love a side of mac n’ cheese? Have a great Monday friends! Also, comment below if you have been to Atkins or are now planning to go! Oh yeah, what should you wear to Atkins Park? Preppy, casual, bar chic, bar trendy. Do not wear clubbing clothes, or a short tight black dress — you’ll look awkward – or like you are trying too hard. Also don’t dress TOO casual. Example: if you decide to wear a t-shirt, khakis & rainbows — you will look like a fool.